Just because Easter has passed doesn’t mean I can’t add another item about it. Right? 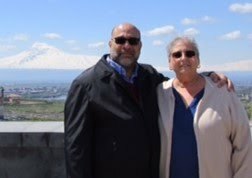 Here’s an article I just received from Aghavni Armoudian, Tulsa, OK, about why Armenians crack Easter eggs. I’m sure you still have a few leftover in your refrigerator, don’t you? The next time you crack open an Easter egg, think about this article written by Rev. 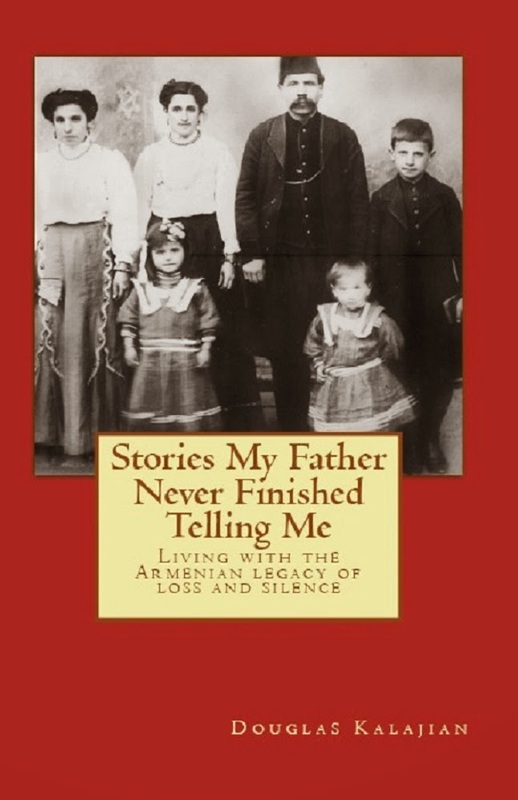 Dr. George A. Leylegian, and the significance of this very Armenian tradition. "The Tradition of Cracking Easter Eggs Amongst Armenians"
"Following the crucifixion on Good Friday, the Body of our Lord Jesus Christ was wrapped in a white shroud and placed inside a rock-hewn tomb. The front of the tomb was sealed with a heavy stone, and because it was the Sabbath, the disciples were not able to embalm the body properly. Early on Sunday in the morning, women came out to the tomb hoping to complete the burial, but they were astonished to see that the stone in front of the tomb had been cracked open. When they entered the tomb, they saw the emptied shroud, and were told by the angels that Jesus was not there. He is risen! As Armenians commemorate the miracle of the Resurrection of Jesus Christ, we exchange the joy with our family and friends by re-enacting the amazing discovery of the emptied tomb on that first Easter. Traditionally, we use onion skins to dye boiled eggs a rich red color (signifying the blood of Christ). The exterior of the hard boiled egg represents the tomb which contained the crucified Body of our Lord. Holding the egg in our right hand, we greet one another saying, “Christ is risen from the dead!” and the others answer, “Blessed is the Resurrection of Christ!” Then, one person strikes the top of the other person’s egg to re-create the sound of that “crack” which opened the tomb. As we remove the shell, we see the egg white which recalls the burial shroud. Then, we remove the shroud to reveal the golden joy of Life, Hope and Resurrection symbolized by the yolk. May the joyfulness of this Armenian tradition of cracking eggs perpetuate the glory of the Resurrection in our lives on this day and always. Happy Easter!" I was so so excited to see the article about the Armenian tradition of cracking the Easter eggs!! !...It was so funny because we STILL do that every year...My family of course started doing this when we were kids...and then my Mom had our kids doing this at every Easter Dinner...They loved it...and they STILL do!...Every year..We even went so far as to give a "trophy" to the winner...It's just a little ceramic duck with an inscription that says "Grandma Mary's Annual Egg Cracking Contest"! !...I was thrilled to read how the tradition came about...We love your website! 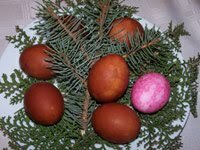 Im , Armenian and Ukrainian and we have our traditionally Easter with both .. we color eggs with wax and different colors, giving the joy of Christ life, then we have cracking of the eggs ,but now I now understand why when young my dad had used the red onions skin color for eggs ,I will included this for my kids. thanks ..and God bless and Happy Easter . Thanks for sharing your Ukrainian version of coloring Easter eggs with wax. How nice it is that your family combines two traditions!